IP PBX market is expected to witness a phenomenal growth triggered by high internet penetration, LTE deployments, video conferencing capabilities, increased number of smart phones and cutting edge applications. *astTECS’ founder and CEO Dr. Devasia Kurian talks about India’s enterprise communication market in a tete-a-tete with Karma Negi of The Red Mark. 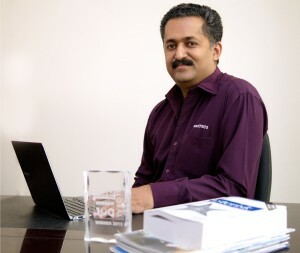 How do you see the demand for enterprise communications in India? In the coming days, enterprise communications would become more integrated and graduate towards consolidation of existing systems. Collaborative tools to reduce travel costs, offering a viable alternative, smart-phones and social media would shape the CRM and customer support strategy in the coming years and beyond. According to industry reports, mobile applications and integration, WebRTC, video and social media will become must have elements in the enterprise IT infrastructure and set to play a key role in customer relationship. How well can Open Source IP PBX solutions address the enterprise demand? An enterprise communication solution with low total cost of ownership and low commercial support is the most desirable proposition and that is what really matters to the IT department. Open source IP PBX solution can definitely help minimize expenses and organizations can make significant savings on licensing and maintenance fees. The fundamental advantage of Open-Source IP PBX is that, it offers both classical PBX functionality & advanced features and interoperates with traditional standards-based telephony systems and Voice over IP systems. The Open Source IP PBX offers all the advanced features that are often associated with large, high end (and high cost) proprietary PBXs. Open Source can bring a number of customizable, distinct and enduring benefits when contrasted to proprietary software, and many of these are directly financial. How much in demand are these solutions and from which verticals? To give customers and employees anytime, anywhere access to rich media applications from smartphones, tablets and other devices, the enterprise communications infrastructures must evolve. The engagement model and innovative offerings will become critical success factors in the coming years and customers will be aligning with strategic vendors who can offer solutions built around their requirement. Among the small and medium enterprises, there is a greater demand of collaboration and the ability to integrate different devices with enterprise IT applications. *astTECS business communication solutions for enterprises deliver excellent value, while addressing varied communication challenges. The demand for our solutions mainly comes from: SMEs, Call centres, Education, Healthcare, Hospitality, Manufacturing, Retail and so on. How do you see the demand and growth of Open source telephony in the next few years? In the next few years the adoption of IP PBX would increase tremendously and the market will witness a phenomenal growth. This is mainly driven by high internet penetration, LTE deployments, video conferencing capabilities, increased no. of smart phones and cutting edge applications. There will be an increased adoption of VoIP among SMBs. Apart from this; reduced costs of hardware and software along with upcoming demands from developed markets will push large scale deployments. What are some of the key focus areas for the company? *astTECS is strengthening its presence by continuously engaging with enterprises offering superior communication experiences and help reduce operational and capital costs. Our marketing strategy in India focuses on understanding the customers’ specific needs and deliver the best-of-breed solution. We are also working on leveraging the unique abilities and expertise of our partners and provide them with all the tools and support they need in order to succeed; and to keep innovating in order to provide our customers with cutting-edge tools geared for the future communications network. Our team is constantly innovating and working on technologies that can deliver new features/service models while fostering business innovation and higher return on investments (ROI). We are working towards an expansion plan through partners globally that will bring *astTECS brand & Asterisk Open Source Telephony Solutions closer to the customer. Please elaborate on your vertical specific communication solutions? Effective responsiveness, availability and adequate communication is critical for businesses and companies must leverage communication resources to maximize sale and staff productivity while increasing competence, reduced costs, and improved performance. 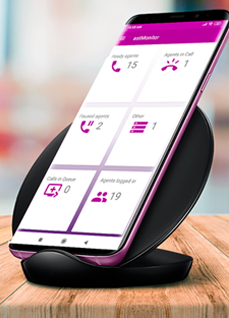 *astTECS integrated telephony solution offers intelligent and tailored applications that enables & empowers enterprises across all key verticals and sizes, capitalize on latest in technology and adapt to evolving market opportunities. Today, we offer customized and verticals specific communication solutions for Hotels, Hospitals, Real Estate companies, Apartment complexes, Educational Institutions, Retail, Manufacturing Call centers and SMEs. IP PBX System – SMEs , Hospitals, Hotels, Real Estate, Apartments.